The Head Micro Gel Radical OS strung tennis racquet is known for bring the choice of professional tennis player Andre Agassi. The latest version of this racquet has been updated to include MicroGel technology which really makes a difference. 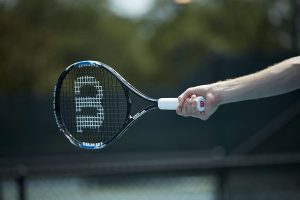 The Head MicroGel OS strung tennis racket also comes with some new aesthetics in keeping with Agassi belief that “Image is Everything.” Along with the MicroGel technology the manufacturer has also included carbon composite fibers in the head of the racquet. These fibers compress and deform when the racket comes into contact with the ball. This allows for the racquet to absorb shock uniformly and then distribute the impact across the entire frame of the racquet. This provides you with a racquet that feels solid in your hand and which will be comfortable at the same time and helps to prevent the fatigue of your hand. The MicroGel technology is an update to an already popular lineup from Head. The frame is constructed with this MicroGel material around the racquets head. The combination of MicroGel and carbon composite fibers allows the racquet to provide great shock absorption and reabsorption and distribution. With an oversize design you can comfortably get a good hit every time as long as you are agile on your feet. It also helps to create more spin on the ball so that it can travel further and can bounce even higher and get away from your opponent. This racquet will provide you with all the control, flex at impact and comfort you need while playing a game of tennis. The racquet is designed to provide so much power to get your attacking shots away. The racquet provides great spin production both on the ground as well as off the ground and also when you are serving. You will find that the response from the racquet is comfortable no matter where on the court you are playing from. The racquet is pre strung and ready to go right away as well as it is very impressive for a number of different player styles once you get used to it. The MicroGel technology really is a silicone based material that has a very low density. It creates a durable and strong racquet in combination with the carbon fibers. It really works to improve the shock dispersion of the racquet and thereby improves the overall feel while providing you the player with more control of the ball. The Head Micro Gel Radical OS strung tennis racquet is an ideal racquet for players who are more advanced in the game. It is suitable for those who are looking for a racquet will provide them with faster and longer strokes. The MicroGel technology helps to achieve all of that while lessening the strain on your arms so that you can play longer without getting fatigued. This can really help the overall improvement of your game play. Therefore it is a good pick for you if you are a competitive and aggressive player who wants a racquet that will help you to have a certain level of control over the ball when you hit it. There are three different versions of the MiroGel Radical just like previous models such as the Flexpoint Radical and the Liquidmetal Radical as well. There is a mid-size head, an oversize head and the pro version. 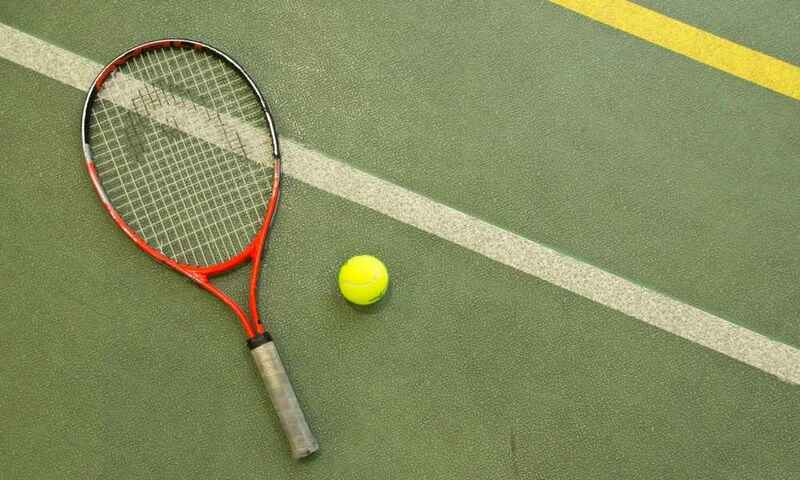 It provides a sense of continuity for players as they go through the various levels of tennis playing experience. You will find that this model is similar to the Flexpoint Radical Midplus but it does offer more control, feedback and feel. The feel offered by the MicroGel is definitely different when you compare it to the Flexpoint. If you are looking for a tennis racquet that provides you with the utmost in feel, comfort and control at the same time then the Head MicroGel OS strung tennis racket is definitely recommended for you. It is recommended if you have a fast and long swing style that you get this racket. You will love how it will take away the shock from your shoulders, elbows and arms and improve your overall feel and your overall stamina to endure game play at peak performance levels. Remember that this racquet is ideally for advanced players that are experienced with the game of tennis and who want a racquet to provide them with higher levels of control. You will love this racquet if you are a precise center hitter who loves powerful shots. If not, then you should opt for a less advanced model and get in some more practice before option to purchase the Head MicroGel OS strung tennis racket. Thanks Payday!, we will keep giving you what you deserve . Thanks Thermo, that’s kind of you ! Hurrah! Finally I got a weblog from where I can actually take valuable facts concerning my study and knowledge. Thanks a lot for sharing this with all people you actually know what you are speaking approximately! Fine way of explaining, and glod post to get information about my presentation focus, which i am going to present in school.